Schema Therapy Training is a provider of workshops, supervision and certification related to Schema Therapy throughout Australia. We draw upon the expertise of leading, accredited professionals from Australia, USA and Europe to provide high quality and personalised training. Dates for the 1st half of 2019 are now on line and can be viewed on the workshops page of the website. In addition to our core schema therapy training we will be having some specialist training in 2019 related to imagery re-scripting, Schema Therapy for eating disorders and integrating acceptance and commitment therapy with schema therapy. A step-by-step guide outlining the most up-to-date innovations in schema therapy (ST), co authored by Rob Brockman from Schema Therapy Training. This important book offers a clear and practical road map for putting the schema mode model into practice, improving clients' interpersonal functioning, and integrates the latest advances in contextual behavioral psychology. Fine Tuning Chair Work in Schema Therapy -A 3 DVD set and Video Streaming Out now! Chair work is often considered as one of the most effective components of experiential work in Schema Therapy. The approach can be a dynamic and stimulating way to assist in schema mode dialogues, and its use can allow for clear and productive methods in working with schema modes. However, clinicians frequently note that they lack confidence in utilising this approach. This three-disk DVD series demonstrates various forms of chair-work that could be readily integrated and utilized within schema therapy practice. In addition, several scenes demonstrate the use of chair work in non-schema therapy situations, such as within cognitive behaviour therapy and working with addictions. This resource aims to provide those beginning to use chair work in Schema Therapy a solid foundation to develop skills. It addition, it provides more experienced therapists with methods to manage more difficult and challenging situations that are typically observed in clinical contexts. 34 chair work based scenes are included, displaying the skills of four experienced Schema Therapists: Chris Hayes (Australia); Remco van der Wijngaart (The Netherlands); Sally Skewes (Australia); and Kirsty Gillings (United Kingdom). "I would say that this is a must-see video for anyone who wants to learn Schema Therapy and a highly-recommended video for those who wish to develop their Chairwork skills"
The DVD hard copy is now available to purchase (see our shop to purchase), and we hope to also be able to provide a video download later in the year. 35 imagery-based scenes are included in the 3 DVD set, displaying the skills of three experienced therapists- Remco van der Wijngaart (Netherlands); Chris Hayes (Australia); and Susan Simpson (Australia). All workshops conducted by Schema Therapy Training are completed by Schema Therapists with Advanced Accreditation via the International Society of Schema Therapy (ISST). 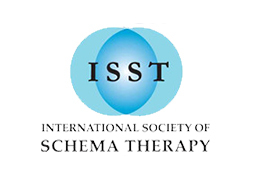 Schema Therapy Consultation Join ISST accredited schema therapists and supervisors Rob Brockman and Chris Hayes for an interactive and engaging 8-week online consultation group.